The Great Patriotic War needs to be read by all:military strategists,historians,lovers of heroism and valour and importantly by the milennials who seem to obsess with science and fake objectivity.It is not important whether you are left, right or somewhere in the moderate middle.To understand truth we must know what,where and how to find! Much respects for those that lay their lives for the freedoms that we live to enjoy.Never Forgotten! Yorktown and Gettysburg rank highest among American martial epics of valor and victory. Most Brits would probably choose the World War II aerial Battle of Britain as their “finest hour.” To the French, Verdun – with its defiant cry, “they shall not pass” – represents a national Calvary of agony and endurance in World War I. 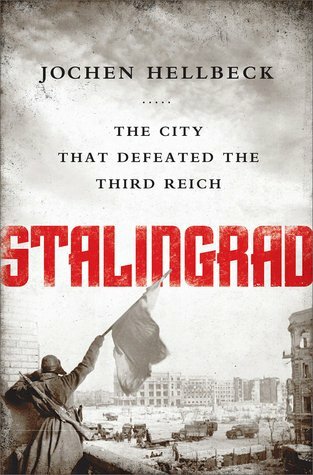 For the Russian people, even more deeply engraved on the national psyche, it’s Stalingrad, “the most ferocious and lethal battle in human history.” This titanic five-month encounter, with roughly a million casualties – dead, wounded, captured or missing – on each side, culminated in a shattering defeat of the Nazi invaders by the Soviets. Military historians universally recognize it as the turning point of the Second World War, or, as it’s known in Russia, the Great Patriotic War. looks up casually only to be innocently excited by the prospect of dark clouds and to shiver wet in the pouring rain. , the mother,as she tucks away a fallen coconut careful not to be seen.As the smiles of the audience are about to be heard as laughs, descend the rains like a much-awaited crescendo as a cathartic climax.The background track captures the movement, transition and speed: from a pregnant silence to the rhythmic patter on to the eerie whoosh of leaves and branches.The sharp and slanting sheet-like raindrops consumes the entire environs.Together,the cuts and edits morph into the architecture of a visual montage of black and white, light and shadows,love and anxiety, delight,humour encapsulated in the common routine of humanity:a pure expression of the beautiful. Was it romanticising poverty or an “epiphany of wonder?”. When asked about his boundless and enviable creativity and questioned about his craft,skill and talents, he had said, it was all there in Bibhuti Babu’s stories.He had only tried to present them with all fidelity as he could not have bettered the writer.This too, was also the paradoxical mix of humility and arrogance. Watch this for new angles of amazement and to discover where after all is the Director?